For those searching for books that reflect the immigrant experience, I recommend this collection of stories! Deftly done. Excerpt: "Over the clatter of dishes and the crackle of oil and the smells of vinegar, soy sauce, garlic, and fermented fish sauce settling on our clothes and skin, we laughed about children and gossiped marriage, the noise as much comfort to us as the food itself." 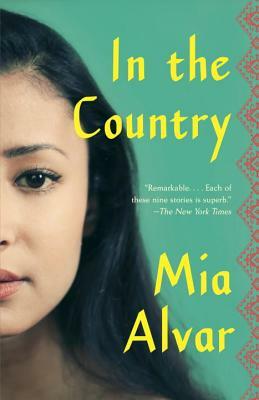 In these nine globe-trotting tales, Mia Alvar gives voice to the women and men of the Philippines and its diaspora. From teachers to housemaids, from mothers to sons, Alvar’s stories explore the universal experiences of loss, displacement, and the longing to connect across borders both real and imagined. In the Country speaks to the heart of everyone who has ever searched for a place to call home—and marks the arrival of a formidable new voice in literature.